ACTION STEPS: Please read the 7.13.11 article in the Austin American-Statesman (posted below) in which Texas Rep. Mark Strama (D – Austin) and Austin ISD Superintendent Meria Carstarphen tell about their free trip to Turkey funded by the Raindrop Foundation (associated with Gulen, Cosmos Foundation, Harmony Schools) and how excited they are to launch a Turkish language program in the Austin public schools. After you have read the following comments about the teaching of the Turkish language at taxpayers’ expense, please contact Rep. Mark Strama and Austin ISD Superintendent Carstarphen to share your thoughts. To call the Austin ISD Superintendent’s office, dial (512) 414-1700, menu #2. People such as Rep. Mark Strams (D – Austin) think that studying the Arabic language (and culture) is similar to studying Spanish, French, or German; but these people groups have not currently declared war on Americans, have not been involved in countless bomb plots and terrorist activities, did not fly their planes into tall buildings killing nearly 3000 innocent Americans, did not kill 13 people at Ft. Hood, do not have a Muslim Brotherhood that is stealthily infusing itself into every part of our American culture, and are not adamant about forcing our U. S. courts to accept Sharia law. Islam is a theopolitical belief system and is totally a part of the Arabic culture. In other words, the Arabic language cannot be studied without learning about Islamic religious beliefs, practices, and the cultural/political ties to Mohammed, the Quran, Sharia law, Jihad, etc. Do we want our innocent school children to be seduced into Islam by becoming captivated by a study of the Arabic culture and Islamic belief system? Do we as taxpayers want to pay for this Islamic indoctrination of our school children? It is not being xenophobic to want to protect our children and grandchildren from being radicalized by Islamists who believe in jihad. All we have to do is to look around and read the latest headlines. During a trip to Turkey, state Rep. Mark Strama, left, and Austin Superintendent Meria Carstarphen meet with Istanbul Deputy Provincial Education Director Serafettin Turan. The trip was paid for by the Raindrop Foundation. A Turkish group with possible connections to a growing charter school system that has raised eyebrows among some conservative state lawmakers is working with the Austin school district on a Turkish language program at a handful of Austin schools. Plans to expand the program, which gives students at three schools some instruction in Turkish language and culture, come after a group of local officials, including Superintendent Meria Carstarphen, administrators and teachers from Austin and Eastside Memorial high schools visited Turkey in December on the Raindrop Foundation’s dime. State Rep. Mark Strama, D-Austin, and his wife also made the trip. In the fall, Austin High School will launch a pilot Turkish program that will be offered after school. Austin High is home to the district’s Academy for Global Studies, which was created with a grant from the nonprofit Asia Society and encourages students to become proficient in a foreign language and knowledgeable about global affairs. The school teaches Spanish, French and Chinese as part of its regular course offerings. The district said that University of Texas assistant research professor Yetkin Yildirim — an outreach representative for the Raindrop Foundation , the Turkish group that is helping to finance the program — has been working with the district since last year to offer Turkish in one unit of study in the exploratory language programs in the 2011-12 school year at Byker Woods Elementary School and O. Henry and Martin middle schools. The Raindrop Foundation has paid for trips to Turkey for several state lawmakers; it is connected with the Harmony Schools charter system, according to a New York Times report that looked into Harmony’s business practices. Local foundation representatives declined to answer questions for this story by phone and did not immediately respond to an emailed request for comment. District administrators said they took the trip to help prepare themselves for new statewide curriculum standards for social studies and world geography to prepare for end-of-course exams. Teachers in the global studies programs at Eastside Memorial and Austin high schools went to learn about world history and Turkish culture firsthand, said Ramona Treviño, the district’s chief academic officer, who also made the trip. In a blog about the trip, Carstarphen said the visit gave the district’s curriculum leaders many ideas. “There are changes (state social studies classroom content standards) that AISD is required to teach to students … that specifically relate to Turkish culture and history, so the trip helped to bring these expectations alive for the teachers and staff,” Carstarphen wrote. The Austin school district has a long history of public-private partnerships, including collaborations that launched the Ann Richards School for Young Women Leaders and a recent $4 million grant from the Moody Foundation to open an all-boys school. Treviño said a Chinese language program at Anderson High School is supported by the Asia Society, a foundation that aims to forge closer ties between Asia and the West through outreach similar to Raindrop Foundation’s. And because of state cuts to public education, public-private partnerships will probably increase. Texas recommends that students take two years of a foreign language in high school, and most Austin high schools offer Spanish and French, at least. Offering more languages is just one way to help prepare students for the future, district officials said. “This is how you prepare students for a global society,” Treviño said. The district pointed out that the U.S. State Department considers Turkish a “critical needs” language. The Raindrop Foundation may help the district develop a curriculum and would pay a Turkish teacher’s part-time salary, about $27,500 annually, and benefits for three years . As was the case with the trip to Turkey, no district funding will be used for the program, Austin school district officials stressed. The district, however, will supply resources such as a computer, supplies and professional development. Austin High’s after-school program could grow into a full-fledged, for-credit Turkish class in the future, and the district also hopes someday to offer languages such as Arabic and Vietnamese as part of its dual language program, Treviño said. Since the New York Times’ June report, some lawmakers have decided to forgo similar offers to travel to Turkey, especially amid assertions by conservative bloggers that the Harmony charter network, which has campuses in Austin, indoctrinates students in Islam. Harmony officials have said repeatedly that they do not teach religion and that they operate in full compliance with state laws. 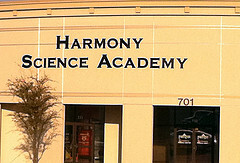 Some have applauded a state investigation of Harmony and other public charter schools, and others say it appears xenophobic. Strama said he was interested in taking the Turkey trip with Austin school officials because of the focus on education, but he said the trip offered much more. “I now view what’s happening the Middle East with the uprising through a totally different prism because I have been to and seen a Muslim nation with a successful, secular democracy at work,” he said. 6.29.11 ––The Texas House General Investigating & Ethics Committee has begun its investigation of the Gulen Turkish charter schools(Cosmos Foundation, Harmony Schools, Rainbow Turkish House, etc. ).